We've listened to the feedback from our 54,000+ members and you can now choose exactly how you'd like to travel - Swap, Points or Rent - and plan trips with our new Availability Calendar. Home exchange is still at the core of what we do but now you can enjoy more ways to use your home to holiday for free. Members of the club can decide how they'd like to travel - giving your more opportunities to plan trips. When you contact members to enquire about a trip you can choose to do a classic two way Swap - you go to theirs, they come to yours. Or you can use our innovative Points system - earn points when someone stays in your home and use them to stay in other homes anywhere in the world. Points means more flexibility, as you don't need to find someone who wants to travel at the same time as you (or from your destination). 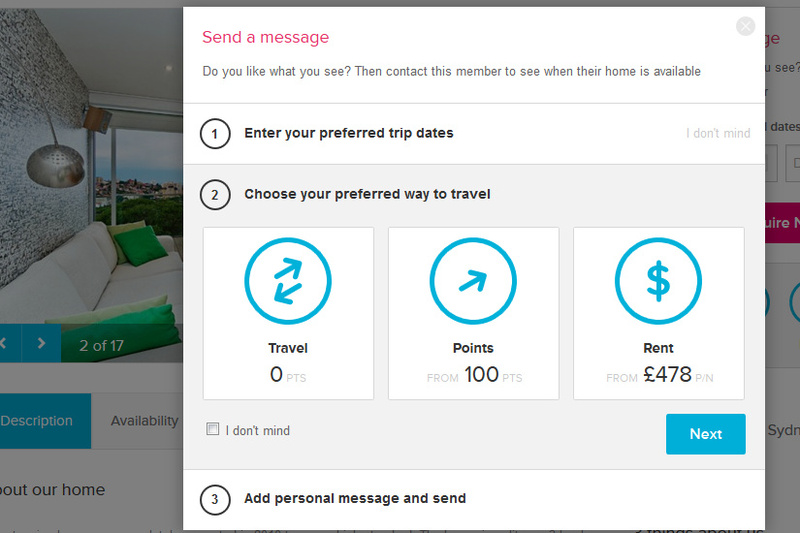 It's also perfect for second home owners who can earn Points any time a member stays in your home throughout the year. You can also choose to Rent a home when you go on holiday - with most of our club's properties not available on any other sites. And of course you can also rent out your home and earn extra money. Now you can tell other members exactly when your home's available (and when it's not) with our easy-to-use Availability Calendar. 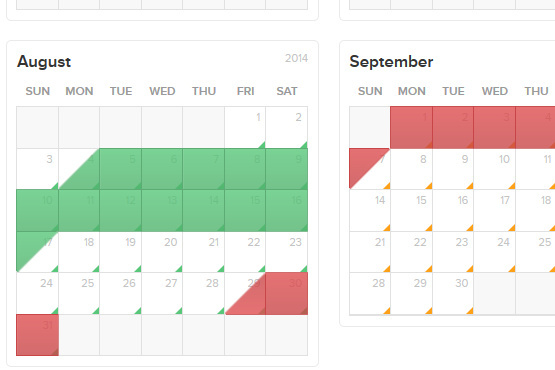 Set these dates and you'll get better quality enquiries and more chances to book trips. In April 2014, you'll also receive double points for the first Points booking you accept at your home. The calendar also means that you'll get better search results when you're looking to travel on specific dates, by eliminating homes that are unavailable at those times. Enquiries from other members now appear in member's personal inbox on-site. You can see whether they're Swap, Points or Rent enquiries, track your conversations and trip details and respond easily to requests. Enquiries now also include all the key information you need when you're planning your trips.